ASPS Semi-Final Judges (left to right): Blair Boone-Migura, Thomas Grubb (below), José Meléndez (above), Dr. Maya Hoover, Thomas Muraco. ASPS's Mary Trueman Art Song Winners: Top Left: Sandra Hamaoui (soprano) 2016-17, Top Right: Micheal Weyandt (baritone) 2012-13, Bottom Left: Virginie Verrez (mezzo) 2014-15. 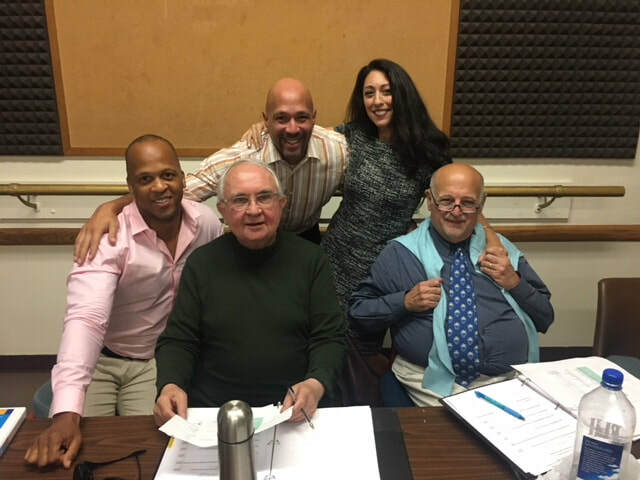 ASPS would like to thank the following judges Thomas Grubb, Dr. Maya Hoover, José Meléndez, and Thomas Muraco for joining Blair Boone-Migura this past weekend to adjudicate the semi-finals of the Mary Trueman Art Song Vocal Competition. A special thanks to the ASPS audition pianist Peiwen Chen and monitors, Caitlin Cavarocchi and Brandon Fuamatu for helping to make the weekend a resounding success! We look forward to seeing you all at the finals!